recommended for: Fans of The Time Machine (yes, the old one, also the movie), light science fiction, and anyone looking for something really unique. If you've read and enjoyed Cameron's razor sharp steampunk-esque historical fantasy, you're in for something entirely different but just as thrilling. 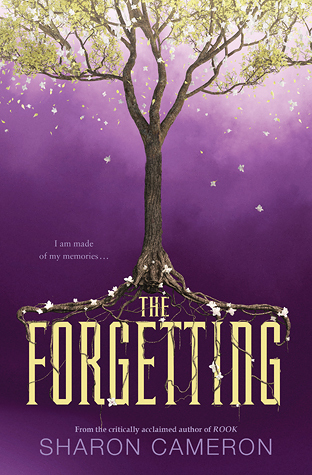 The Forgetting is a science fiction drama reminiscent of The Time Machine, with an atmosphere of sinister mystery that pulls you along and endearing characters that keep you invested. Nadia is unique. In her small walled city of Canaan, where everyone loses all of their memories every 12 years, she is the only one who can remember. Everyone else uses books, diligently written in daily. But she knows whose books are forged. Who is living a lie without even remembering they've lied. It's a wicked cool premise that just keeps getting twistier as Nadia discovers more of Canaan's secrets, and you as reader begin to understand that this is more than an iron age commune. It's difficult to gush about this properly without spoiling something. 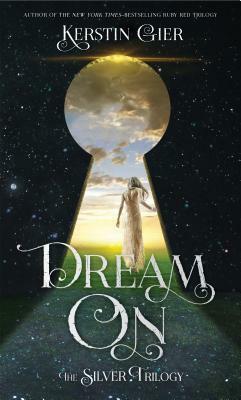 Cameron weaves together a mystery as enticing as her historicals, and knows just when to throw in a shocker. As with a lot of young adult science fiction, I was a little spotty on the details. Some of the science seemed plausible, other parts seemed hand wavey and yanked me out of the story a bit. I'm still torn in my feelings about the source of the Forgetting itself. There's also a missed opportunity to make the cast explicitly ethnically diverse; many of the side characters are non-white, but you don't know that right away and they don't all have huge roles. However, the mains are strong, lovingly imagined in that way Cameron has. Nadia's voice leaps off the page--suspicious, sharp, drearily hopeful, abandoned. Gray, the boy who becomes her fellow sleuth, is a sweet mix of bantery and perceptive. The silences between them mean as much as the words, and their chemistry is spine-tingling. Nadia's family also remains super important, which is a nice change. I didn't totally understand her older sister's scalding hatred of her, and her younger sister is that precocious younger sister trope, but they grow into their own people as the story goes on. The fraught relationships between them felt entirely authentic. And of course, it's all pulled together by Cameron's writing. Taut, sharp, no words out of place, it's frequently beautiful and sneakily builds up a sense of eerieness and wonder that chills the skin as well as any sci-fi movie score. She paints a vivid picture of Nadia's strange world; I could see it. There's something haunting and wonderful about a world built on writing. On the truths people tell themselves, and the lies they choose to believe instead. Literally everything anyone knows about themselves after the Forgetting is what they've written down, or what others wrote about them. Engagements are written. Children are marked. It's a little breathlessly terrifying to read, thinking about what you really are as a human without your memories. Whether you're still you. Talk about philosophical mindf*ck. I'd have liked a bit more depth into the psychopathic Purge-like Forgetting chaos, but probably that's just me. By that final page, I was reluctant to leave. It's all a bit neatly wrapped up, and I'd have loved to get to know the side cast more, but it's also a lovely one-off adventure in a place I loved living for a few days. The Forgetting is an atmospheric science fiction adventure with a dynamic main duo, unique concept, and thrilling mystery. I very much agree with everything you have said here! And like I said on your comment on Val's review, we need to discuss this because I have a few (very spoilery) questions. But I really enjoyed this one. It was missing that extra special "something" that would have placed it solidly in my favorites, but I liked it a LOT, and I still put it on my favorites shelf, Idk why. I think it was just compulsively readable, and I didn't want to put it down, and that has to be a very good sign ;) Great review! AH. THIS SOUNDS MAGICAL. SO MAGICAL AND MYSTERIOUS. I really want to read it before Halloween after reading this review, haha. Plus I guess I hadn't really registered that it was a standalone, but now that I have, YAY. BECAUSE I NEVER FINISH SERIES.